I hope you are all doing well and are excited to celebrate the birth of Christ! How blessed we are! 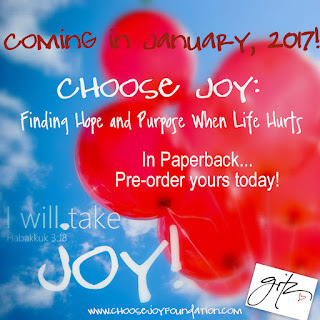 I have been doing a lot of social media marketing for the release of Choose Joy: Finding Hope and Purpose When Life Hurts, which comes out in paperback on January 3rd! It provides us another way to spread God's JOY to others. Today on Amazon you can pre-order the book for only $9.88. 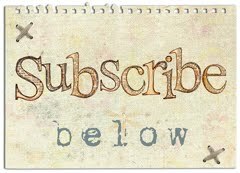 Click the following links if you would like to follow Choose Joy on Facebook or Twitter. You can get your daily dose of JOY there...everyone can use that, right?! 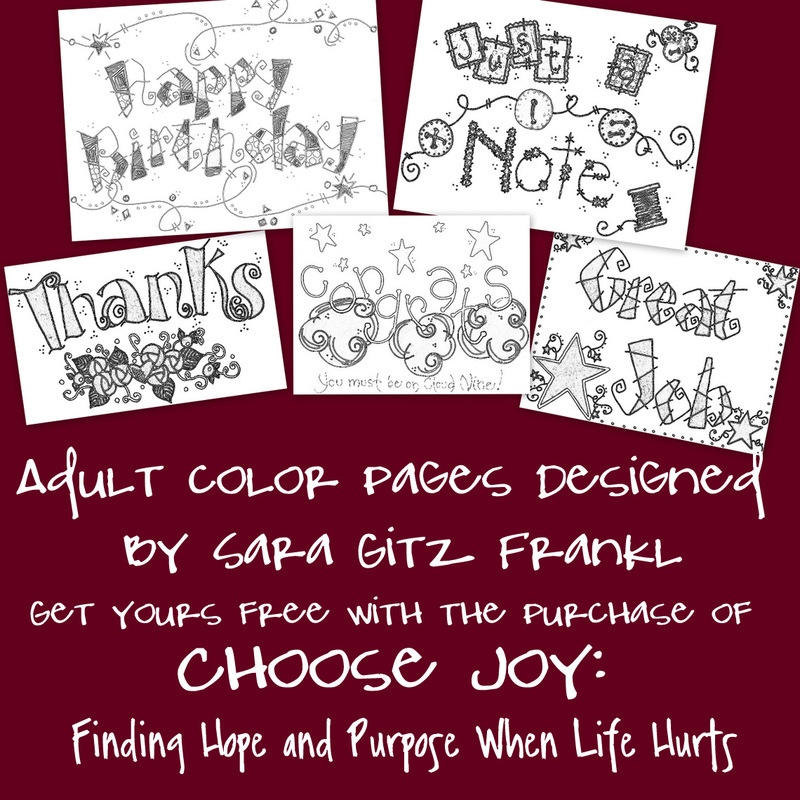 If you are interested in receiving these beautiful color sheets designed by our very own Sara, here's what you need to do. Share your favorite quote from the book in the comment section. The quote can be from any chapter, except chapter 1. Also, you can't duplicate a quote that has already been shared! I will be using random selection to choose ten lucky winners! You have until December 31st! Please share with your friends and continue to spread the gift of JOY to others! Have a blessed Christmas filled with the Peace and JOY of Jesus! Do you know of anyone who is looking for an event speaker? I have been blessed in 2016 to speak at several different events to continue Sara's discipleship and spreading God's word of joy! I would love to schedule more events in 2017! If you know of anyone looking for a speaker, please pass on my information to them. You can direct them to the foundation website, www.choosejoyfoundation.com. 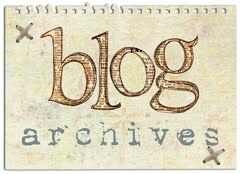 The website provides some testimony as well as a speaking real they can view. Sara was an example of what believing and trusting in God can do in our lives. Join me in continuing her discipleship! The message doesn't have to end. What she learned, believed and lived can live on in us! 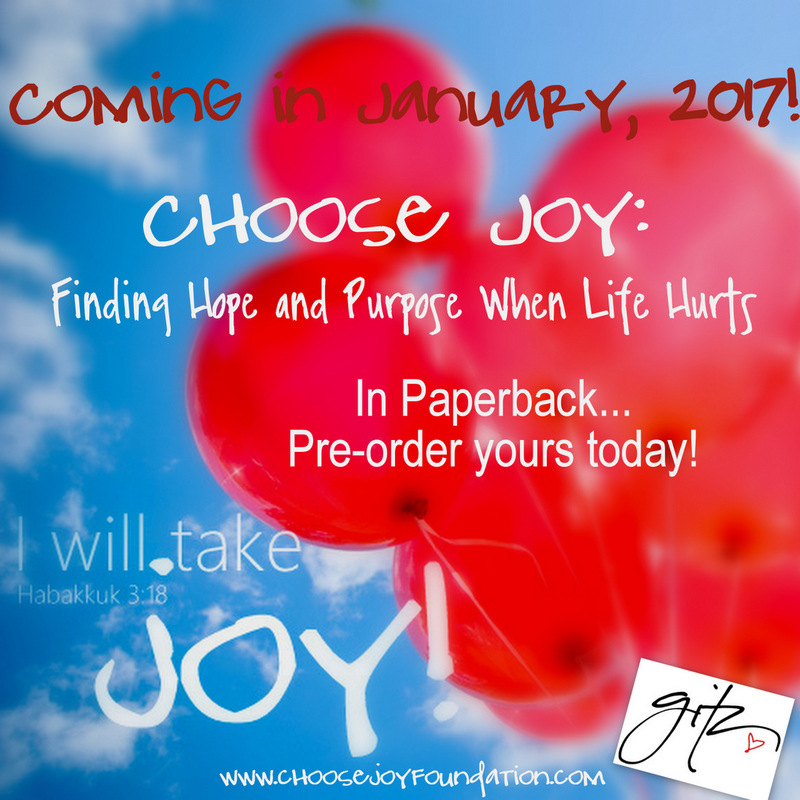 Remember...Choose Joy: Finding Hope and Purpose When Life Hurts comes out in paperback on January 1st! As I started preparing for Thanksgiving, I also started feeling a little solemn, so I started going through Sara's very organized photos. :) I started smiling as I remembered all the wonderful memories of our family and the cousins so excited to be together. 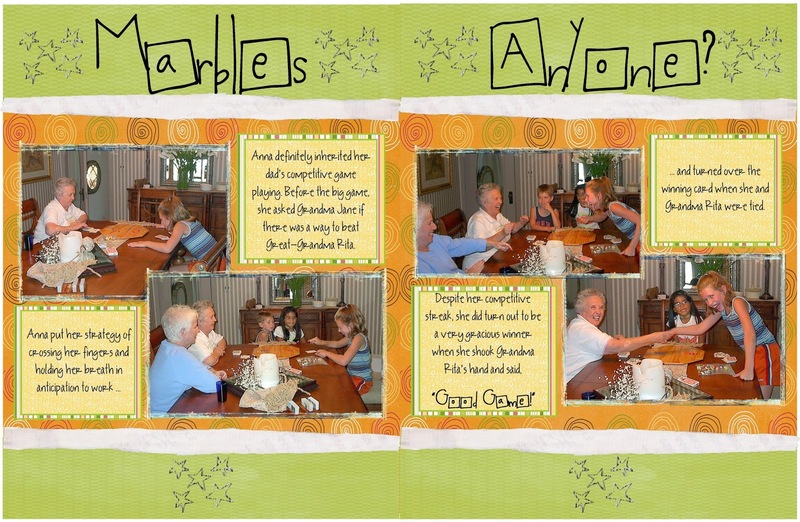 The Holidays can be hard when we missed our loved ones, but the memories bring so much comfort. I have learned that the best gift and blessing we can give, are memories and traditions that we can pass on to those we love. 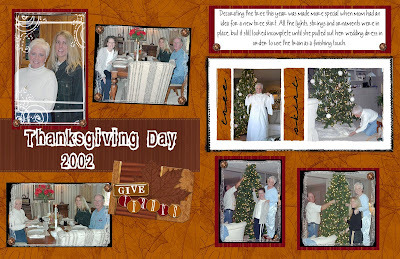 These pictures were from Thanksgiving, 2002. 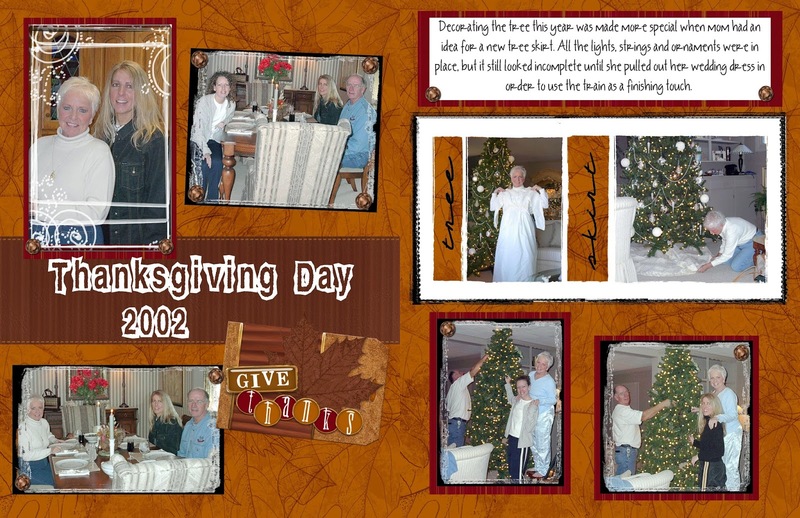 The pictures are of mom, dad, Sara and Janette celebrating Thanksgiving and then putting up the Christmas tree together. Mom even found her wedding gown and showed it off that year. 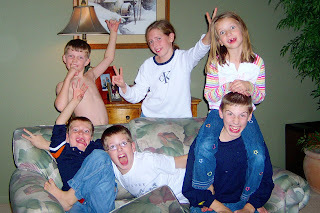 ...and the cousins getting together for hours of play and being goofy! As you celebrate this Thanksgiving, no matter where you are, remember to create memories, love each other and remember to do it with JOY! 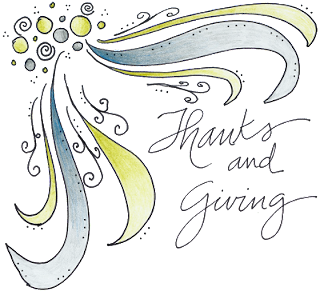 2 Corinthians 4:15 "All this if for your benefit, so that the grace that is reaching more and more people may cause thanksgiving to overflow to the glory of God." We, Sara's family, have been so blessed...2016 so far has been an amazing year! After publishing Choose Joy: Finding Hope and Purpose When Life Hurts, we have had many opportunities to spread God's message of grace and joy to others. I pray that His message has caused thanksgiving to overflow to His glory! We are excited that in January, 2017 we are able to provide another opportunity to spread God's message by making the book available in paperback. Please share with others and assist us in spreading God's message. Today more than ever we need to spread the message of God's love and Joy to others. Stay tuned for more exciting information between now and January! When you were a young child, I bet many of you, like me, sang the song... "I've got that joy, joy, joy, joy, down in my heart. Down in my heart. Down in my heart. I've got that joy, joy, joy, joy, down in my heart. Down in my heart to stay! There is a difference between happiness and joy. Happiness is something that can come and go...and may even last for a moment in time. Happiness is being content and satisfied. I don't know about you, but I want to feel more than contentment and satisfaction in my life. Joy on the other hand is great delight, a euphoria. When we find true joy, it will last forever. It lasts forever, because it is found when we surrender our life to God. I have personally found this confusing, because I know through hard times in my life, I have questioned whether I have lost that joy in my heart. 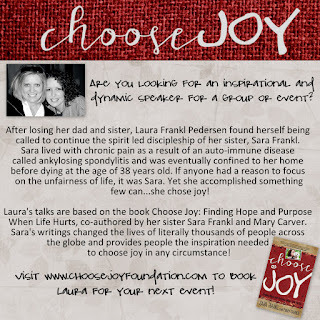 In the book Choose Joy: Finding Hope and Purpose When Life Hurts,Sara provides us with her personal definition of joy. "The unwavering trust that God knows what He is doing and has blessed me with the opportunity to be a part of it. Not despite what is happening in my life, but because of it. When everything earthly feels heavy, He gives me an internal lightness that can't be touched." Unwavering trust that God knows what He is doing. 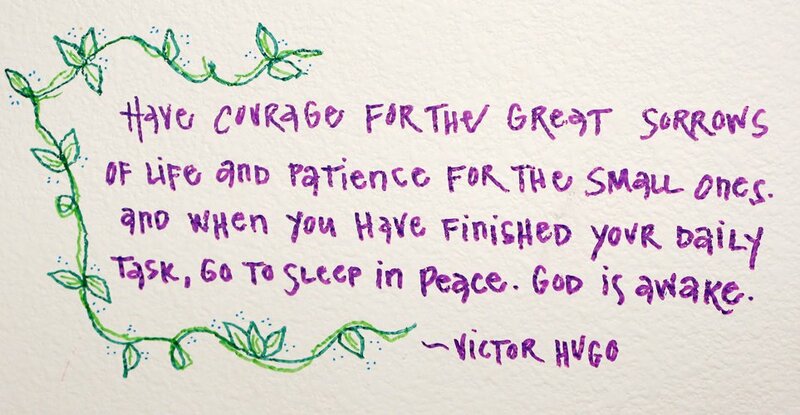 I would equate this statement to surrendering to God's will for our lives...even when it is hard. When life is hard, I find myself questioning whether I have lost the joy in my heart because I don't feel the joy. Instead of questioning and trying to control the sorrow and pain. I must surrender it to Him. I must give Him my unwavering trust and just be with Him. 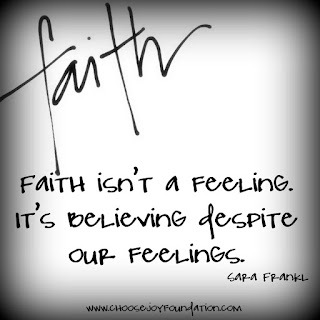 Remember...Faith is believing without seeing and feeling. James 1:2-4 tells us to "consider it pure joy, my brothers and sisters, whenever you face trials of many kinds, because you know that the testing of your faith produces perseverance. Let perseverance finish its work so that you may be mature and complete, not lacking anything. The joy down in our heart doesn't mean we are exempt from sadness or hurt. It is during those times that if we surrender ourselves to Him, we will find joy. He promises us His favor is for a lifetime; weeping may last for the night, but a shout of joy comes in the morning. (Psalm 30:5). It is when we fully surrender to Him that we will have that joy, joy, joy, joy, down in our heat to stay. Being known as a living prayer...that is how Sara wanted to be remembered. Sara believed it would be found in the reflection of others when they are touched by you. It would be seen in the joy that others would find contagious, and in the compassion that others would feel in your words and deeds. The kind word for no reason, the intentional way of listening and the hand outstretched to give and to receive. When I read through and reflect on these words from Sara, I think being a living prayer is when you live a life where your spiritual and day to day life are no longer separate. Rather, they are woven together in harmony with each other. 1 Thessalonians 5:17 tells us to "pray without ceasing." We are able to pray without ceasing when we have reached this beautiful harmony of our spiritual and daily life. Lisa Jo Baker, author of the book Surprised by Motherhood and writer at (in)courage, described Sara as someone who "had one foot firmly planted here and the other firmly planted in Heaven. That Sara wasn't afraid to go, but she was being brave to stay." Lisa Jo described Sara as someone who showed us both sides of home...our home here on earth and our home in Heaven." I would say this is an example of our daily life and spiritual life being in harmony. This is a true example of what it means to be a living prayer. Sara gifted us by showing us a life of surrender. A life that is not exempt from hurt and troubles, but through the hurt and troubles we can see the hope and grace of Jesus. A life where we can trust His word and truth despite the troubles we experience. A life of experiencing God continuously...never feeling apart from Him. By surrendering her life to God, Sara saw God's light and no amount of darkness she experienced could change the love and grace of Jesus. Sara was a living prayer, and an example of how when we surrender our life to God, we will experience a daily joy that is found when we live a life in harmony with our spiritual life. Hebrews 11:1, 6 "Now faith is confidence in what we hope for and assurance about what we do not see. And without faith it is impossible to please God, because anyone who comes to him must believe that he exists and that he rewards those who earnestly seek him." 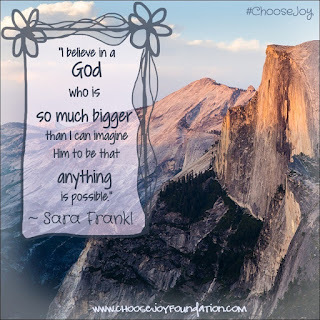 In Choose Joy: Finding Hope and Purpose When Life Hurts, Sara says that faith is believing without seeing, but it is also believing without feeling. It is trusting God's word...no matter what. The bible tells us in Matthew 24:35; "Heaven and earth will pass away, but my words will never pass away." And in 1 Peter 1:25, "The word of the Lord endures forever..."
Faith is trusting God's word, which never changes. There are many things in life that will change...our health, friendships, jobs, homes...kids grow and move away; loved ones pass away. Some of these changes can bring us joy, but along with joy are often feelings of loneliness, sadness, and brokenness. Through all of these feelings, God's word never changes. No matter how we feel it is I, and only I, who can choose to surrender my life to God, knowing and having faith that His word never changes. There have been times in my life that God has seemed so far away. It is during those times that I, and only I can choose to surrender to Him and remind myself to trust in His word. His word tells me that His love is unconditional. That His love endures forever. Psalm 136:1 "Give thanks to the Lord for He is good. His love endures forever." "I didn't realize until tonight that peace doesn't come from putting my life in God's hands, it comes from the knowledge that it's not mine to begin with. It has been His from the beginning. 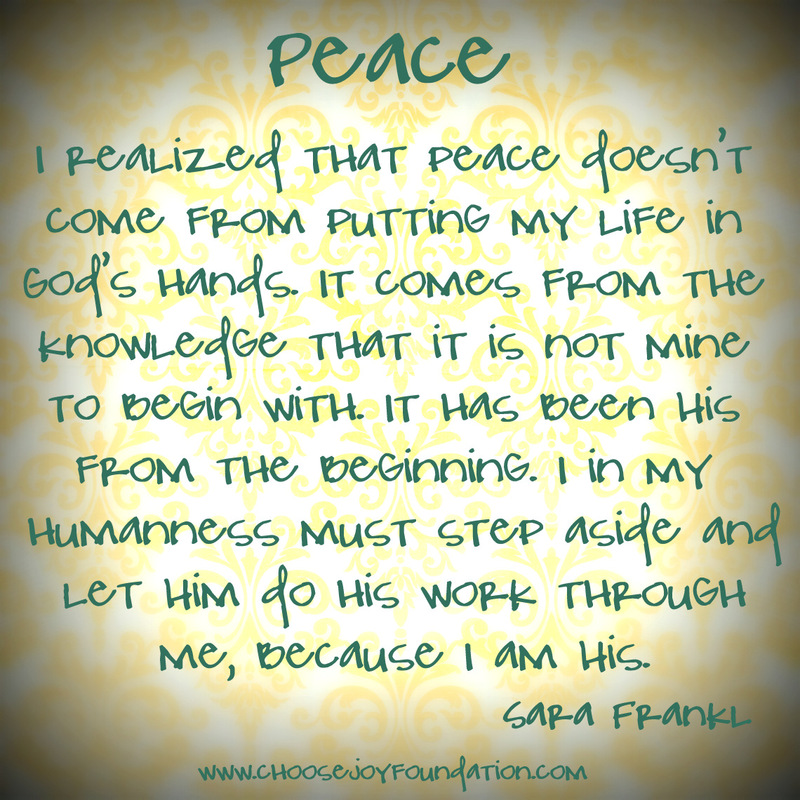 I in my humanness must step aside and let Him do His work through me, because I am His." I found the above quote in a journal of Sara's after she passed away. It didn't have a date on it, so I don't know specifically where she was at in her journey. What I pictured was her in prayer struggling to find peace in her life when she was facing so much unknown. What was going to happen with her health? How was she going to pay her bills? What was her purpose in life? Will she ever be able to go outside again? I can only imagine that there were these and many other questions rolling around in her head, with no easy answers. Until the point she wrote the above quote. Until she heard wisdom that only God could provide. She found peace when she realized it wasn’t about her putting her life in God's hands, because it really wasn't her life to begin with. It isn't our life, it isn't our bodies, it isn't ours… It's His. How selfish we have become with lives that are really God's. We must start living our lives selflessly instead of selfishly. God calls us to serve others, not ourselves. It doesn’t matter the topic. 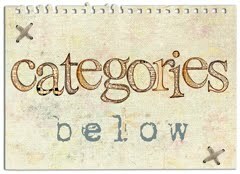 It could be the topic of abortion or gender; ethnicity or social class. The point is, we don't have the right to make decisions about anything without surrendering to God. We don't have a right to make decisions that are His to make. Our role is the step aside and let God take the wheel. Let Him do His work through us. In the Lord's prayer we say "…thy will be done on earth as it is in heaven." We are praying that something will happen that has not yet happened. We are praying that God will bring about His heavenly purpose on earth. We are praying that God would use us to do His will. We are making ourselves available to do the will of our heavenly Father, to fulfill his purpose. Finding peace and joy in life will come from surrendering our lives to God and realizing that not only is it not about us, it's not really ours to begin with. If we really trust Him, believe that He doesn't make mistakes and surrender our lives to Him, what would our world be like? 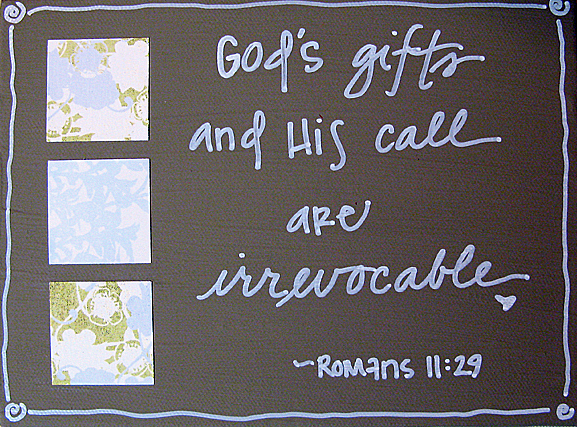 Romans 11:29 "For God's gifts and His call are irrevocable." We all have a place and a call in God's heart and in God's plans. One way for each of us to know what God's plans are for us, is by paying attention to the gifts and talents He has blessed us with. I also think those gifts and talents can change throughout our lives and therefore we always need to be present and paying attention to His call. Early on in my career I was petrified of public speaking! I was so unsure of myself and not at all confident in myself or what I had to offer. But, God does equip the called...and sometimes equipping the called is by walking straight through a path of difficulty and challenges. When I do leadership training and development, one of the things we talk about is the idea of "being" and "doing." The "doing" consists of those things that are rational and often times more comfortable because we have been educated and trained on the "doing". "Being" on the other hand can be more difficult because it is about being still and listening to our heart and our spiritual being. The challenge for us in using our gifts and paying attention to God's call is that we can't choose our head/doing over our heart/being. We must center ourselves with both. The poem Footprints takes on a whole new meaning for me when I look back on my life and the challenges I walked through. During those times of struggle, we don't always feel God's presence with us, but when we look back on those times today, We can see Him walking right beside us. The difficulties that I have walked through have definitely prepared me for my life today and I couldn't be more grateful. Public speaking is something that I still can't believe I am comfortable doing and yet I am. 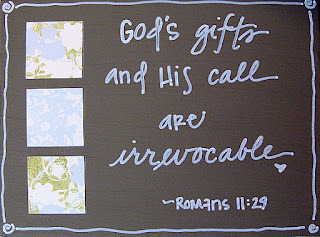 I think we know what God's gift and call are when we carry out the call and we say to ourselves...I have no idea where that came from, but it felt good. I believe it's because it came from the Holy Spirit. God has prepared me for continuing to carry out His message that He called Sara to begin. 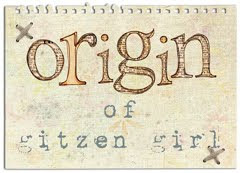 Sara was faithful in using her gifts and following God's calling. Continuing her legacy and carrying out God's message of joy and surrender here on earth is humbling and rewarding. I pray that He will continue to equip me with an open mind, humble heart and faithful feet. When we surrender our lives to the one who knows the call and knows the gifts He has blessed us with, our lives will be filled with Joy. 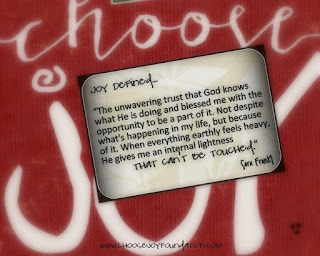 You can learn more about God's calling by reading the book Choose Joy: Finding Hope and Purpose When Life Hurts. 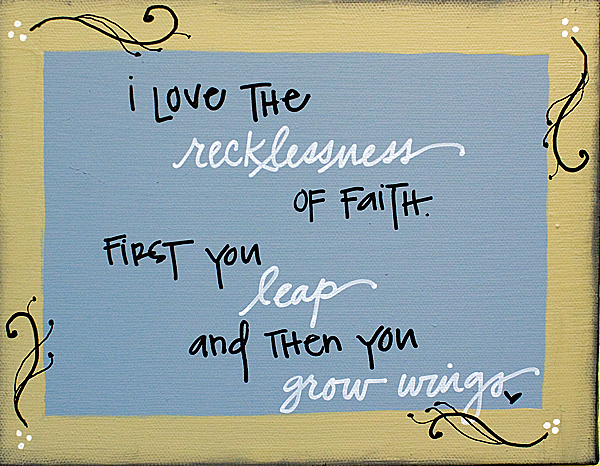 "I love the recklessness of Faith. First you leap and then you grow wings." As I was reflecting on the above canvas that Sara created and this quote from Sloane Coffin. The word that popped out at me was recklessness. I looked up the definition of recklessness and it says being "utterly unconcerned about the consequences of some action; without caution; careless." Loving recklessness or unconcern for consequences is probably not the first thing I would jump up and say…yep that's me! I tend to be someone who likes to make sure I am following rules and that I have everything planned out. I am always thinking about the consequences of decisions that I have in front of me to make sure that I am doing the right thing for the right reason. 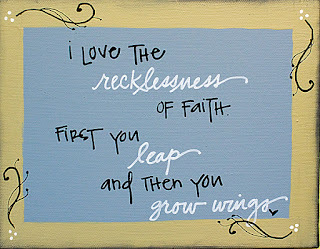 But when I think about recklessness in terms of faith, it really makes sense. Look how many times in the bible Jesus asked others to leave everything behind and follow Him. The disciples didn't plan out what following Jesus would look like for them. They didn't tell Him…wait…let me think this through! They took a leap of faith, trusted Him and grew wings along the journey. Taking a leap of faith requires us to be brave, to trust Him with all of our hearts and to surrender our lives, knowing that He will help us grow and flourish as His faithful servants. Mark 1:16-20 says, "As Jesus walked beside the Sea of Galilee, he saw Simon and his brother Andrew casting a net into the lake, for they were fishermen. “Come, follow me,” Jesus said, “and I will send you out to fish for people.” At once they left their nets and followed him. When he had gone a little farther, he saw James son of Zebedee and his brother John in a boat, preparing their nets. Without delay he called them, and they left their father Zebedee in the boat with the hired men and followed him. At once they left…Without delay…they followed Him. My prayer is that I can surrender my life to Him so that I can live a reckless kind of faith. That I can take the leap He is asking me to take and trust that He will provide me the wings I need to fly…to soar in this life for Him until I am home with Him. 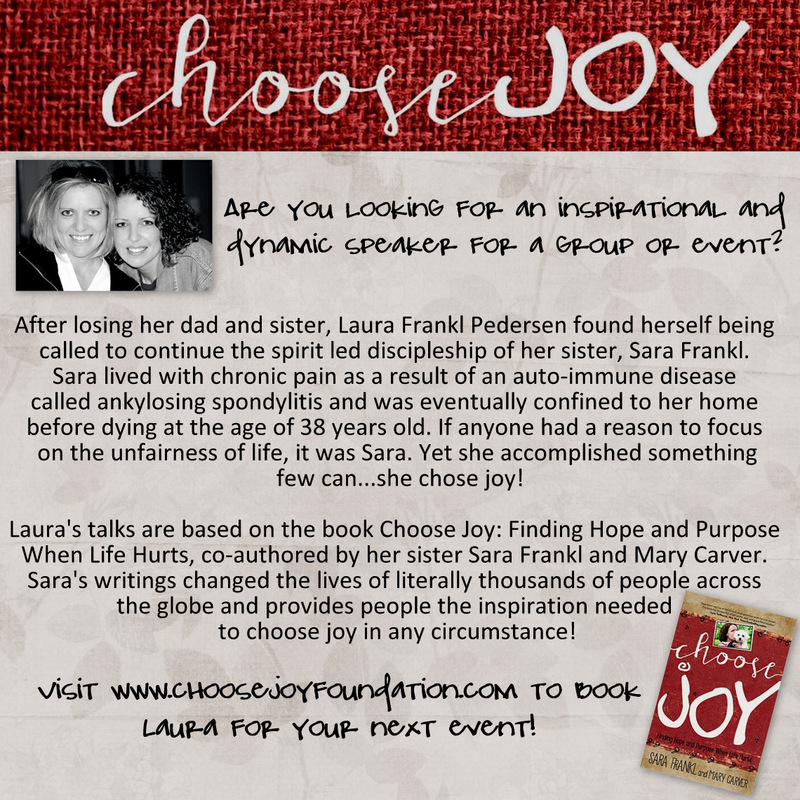 In the book Choose Joy: Finding Hope and Purpose When Life Hurts, Sara talks with us about what living a life of intention meant for her. Being intentional was such an important part of her life, that she made it one of her life goals..."To be intentional in all things." 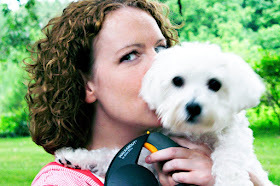 Sara believed that "everything we do, no matter how small, carries with it an impact. The decisions we make about who we want to be, how we want to live and how we treat others affects more than just our immediate surroundings. If we come in contact with someone we either leave them feeling better about themselves or worse, but we never leave them unaffected." The way to make sure we are living intentionally is to first be sure we are really present in the moment. It is important to make living with intention part of our day to day events and decisions, such as greeting people that we pass by, or to stop what we are doing and give our full attention to the person talking with us. Living with intention can also exist on a much larger scale. Living with intention is being open to whatever God has in store for us. Sara said, "her biggest fear was that God had a purpose for her and if she wasn't paying attention, she'd miss it. 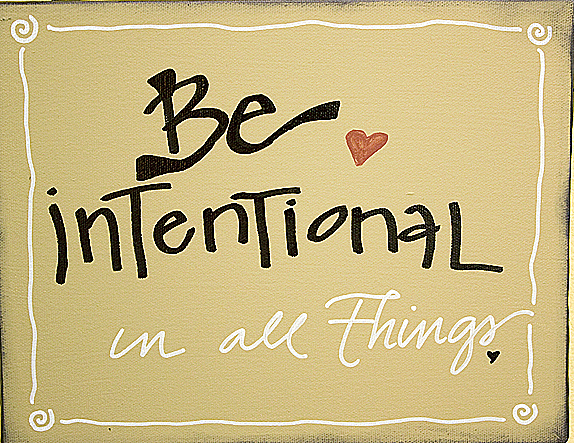 Sara prayed for guidance and prayed that she would be intentional in all things. She paid attention when she felt a tug on her heart or had an idea of something to do for someone else." Sara taught us that those are God's ways of letting us know when we are needed. Are you living a life of intention or a life of default? 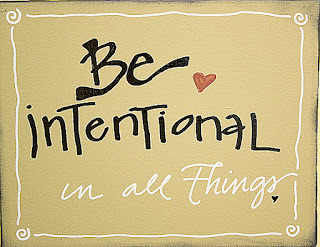 Living with intention means living according to a plan in order to achieve our purpose in life. Living by default means just following the crowd and letting things happen as they go. Ephesians 5:15 says, "Be very careful, then, how you live -- not as not as unwise, but as wise, making the most of every opportunity, because the days are evil." Living a life of intention requires us to surrender our lives to God. If we are not present and listening to the tug on our heart or the Holy Spirit whispering in our ear, we may miss God's calling when we are needed. Remember...your life is precious...living with intention allows you to live your life to its fullest! As I have focused this month on surrender, I have learned that in order for us to truly surrender, we must first remove ourselves from the distractions of our crazy world and BE in His presence. When we are distracted, we are not able to hear Him clearly. Unless we are free from distraction, we aren't in a place to truly turn ourselves back over to Him and His authority. Revelation 3:20 says..."Here I am! I stand at the door and knock. If anyone hears my voice and opens the door, I will come in and eat with that person, and they with me. I think it is safe to say that each one of us have felt broken at different times in our lives. I remember talking with Sara when I was feeling sad, alone or hurt. The minute I would start sharing with her, I could feel the guilt start pouring over me. Who was I to complain when she was the one hurting...she was the one broken. Sara was the first to stop me dead in my tracks. She would tell me that the pain each of us feel is real and no one person's pain is less significant than another persons. Sara wanted us to be real with her. She didn't want us to protect her. I think that is what God wants from us too ... to be real with Him. We can't hide anything from God. He knows our heart, he knows our spirit and He alone can bring us Joy, Peace and Refuge, so we can be strong when we are weak. Wherever your focus is, your vision will be as well. What you focus your life on will be what motivates you. What is motivating you today? Is your vision clear concerning the things of God and are you paying particular attention to His word and what He is instructing you to do today and again tomorrow? There are so many things in life that focus our priorities...social media, school, jobs, relationships, how we look, the clothes we want...the list goes on and on. When our focus is not on God, but on worldly things, that is what our decisions will be based on. When God and His kingdom are your focus, then your vision will be to do everything you can to please Him. You will look to Him for answers when it comes to those decisions about school, jobs, relationships...all your needs, wants and desires. When we get overwhelmed with our worldly desires, it is often because we lack the time and energy to be able to focus on all that we have in front of us. Time is a finite resource...there are only so many hours in a day. Energy on the other hand, is an infinite resource. How are you renewing your energy each day instead of draining your energy. By focusing on God's message, His will and desire for your life, you will find that not only will your energy be renewed, you will find that the time in your day is better spent. By focusing on Him, your purpose in this life will become clear. Have you ever had someone tell you...don't take your eye off the ball? They tell us that because when we take our eye off the ball, we lose focus and ultimately we may lose in the end. It's the same when it comes to surrendering to God. If we don't keep our eyes on Him, we will lose our focus. When we lose our focus, we will feel lost from Him. I really think we will find what we are meant to do when we keep our focus on Him. 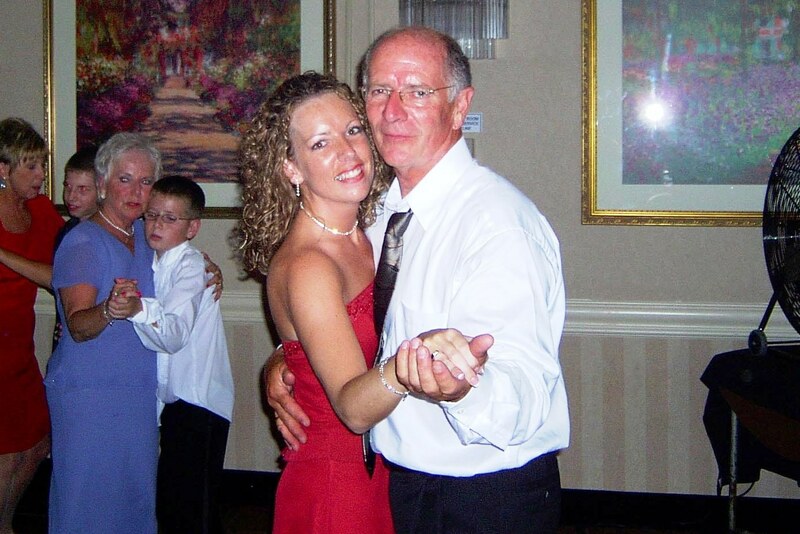 When you know someone's life is coming to an end, you do everything you can to take in and savor every last moment with your loved one. That is exactly how it was during those final days with Sara. Sara's life was an example of someone who chose to surrender their life to God...right up until her final breadth! 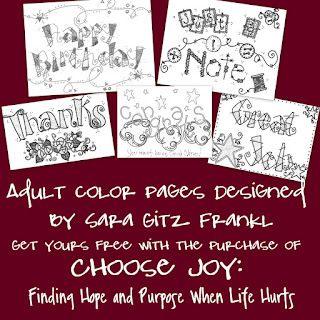 Sara's book, Choose Joy Finding Hope and Purpose When Life Hurts provides readers with so many examples and ways to choose surrender...and her life was so much more than what could be captured in a book. Her love for God and others poured out of her! 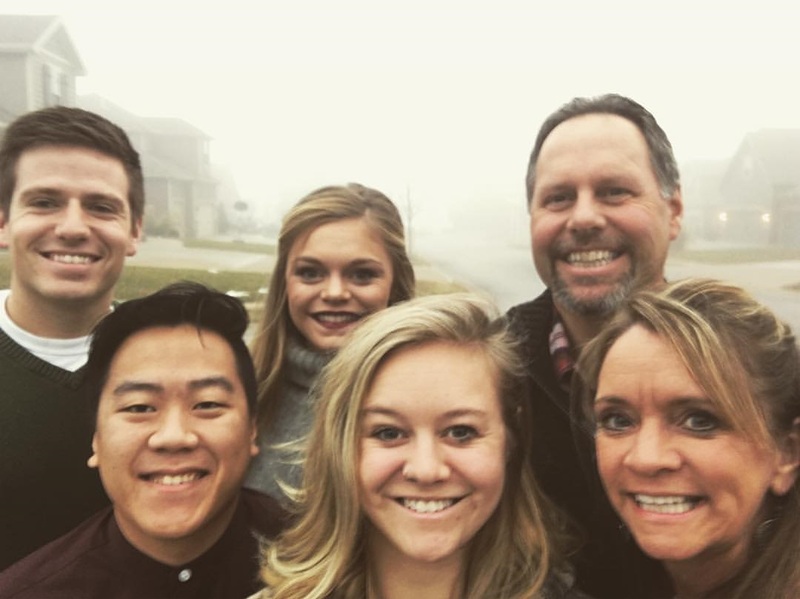 Even though the last three years of Sara's life were spent confined to the four walls of her home, she continued to surrender her life and teach us what it meant to be the hands and feet of God. One of the last things Sara said to me was that she wanted people "to continue to learn, trust and believe in God as she tried to be His disciple, but, she said, It's not about me, it's about Him.That's the message I want people to hear." 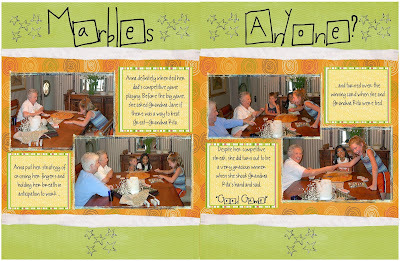 Now, let's remember...Sara was the writer and artistic one in our family. Me...I can hardly draw a straight line and was once asked if I spoke "Frankanese" (Assuming that meant an individual Frankl family language). Even though I felt less than capable, my life these last 5 years has been one of surrender. There have been days when surrendering has been easier than others. I had no idea what God's plan was for continuing this Choose Joy ministry that Sara surrendered her life to, but I knew her wish and words to me were a calling from God and I didn't want my lack of knowledge, writing and artistic abilities to be an excuse for not being the hands and feet of God. My surrender prayer each day is that God will give me an open mind, a humble heart and faithful feet to walk where He leads. He has been the one driving and opening doors. Some of those doors have been shut (and admittedly disappointing at times), but I didn't put a period and stop trying. I put a comma and continued to pray for His guidance. There have been many humbling and blessed examples that have come from surrendering this ministry to Him, and I'd like to share a video of the most recent. 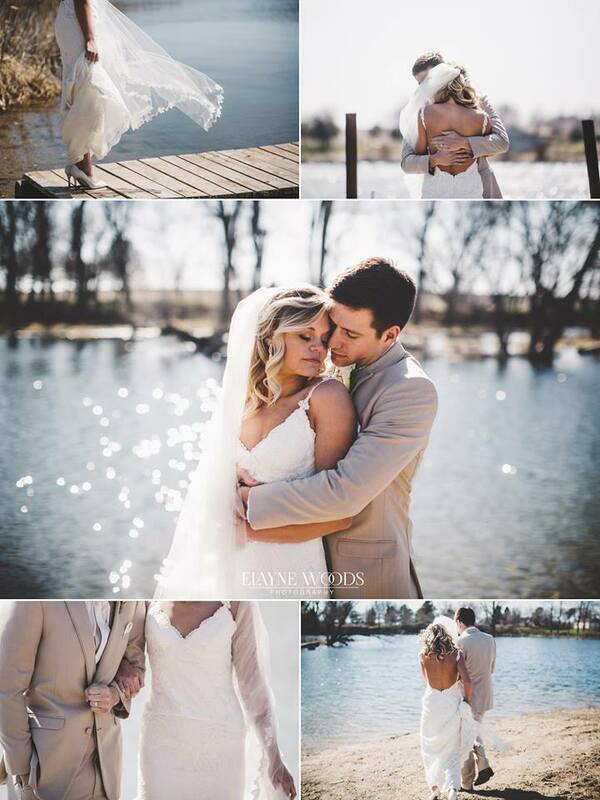 I was blessed to host a Choose Joy and Lindsay McCaul event in Sioux City this past month. The below video gives you a quick snap shot of the event. Even if one person's life is impacted and brings them closer to God, it is worth it. Surrendering to God and trusting this path has not always been easy and I am sure there will be more difficult days ahead, but the blessings have far out weighed the difficult days. I will not let my fear of surrendering keep me from not being the hands and feet of God. And, I will always remember, it's not about me....it's not about Sara...It's about Him. Sara left many beautiful legacies for us, and one of them is the gift of her angelic voice. 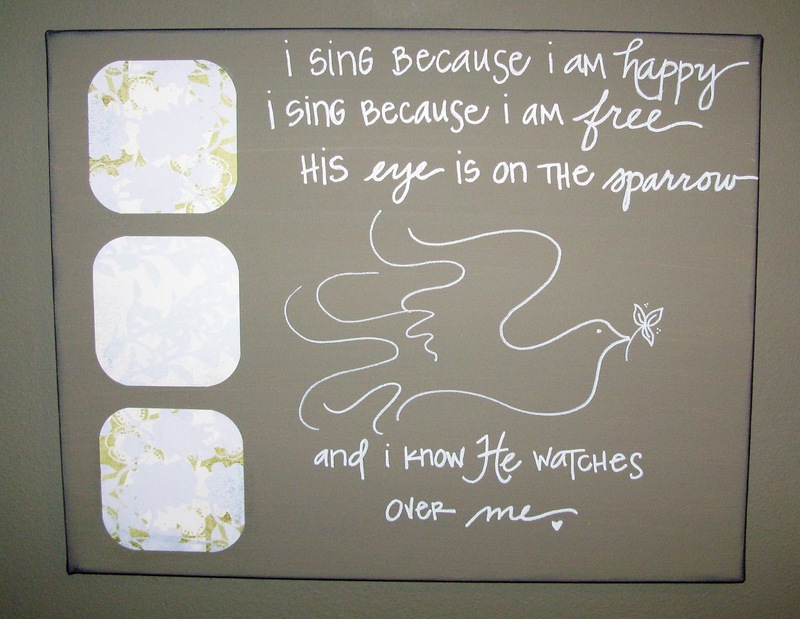 I was listening to her sing His Eye is On the Sparrow, and I couldn't help but think of how God is again reminding us to trust Him and surrender our lives to Him. Matthew 29-31 says…"Are not two sparrows sold for a penny? Yet not one of them will fall to the ground outside your Father’s care. And even the very hairs of your head are all numbered. So don’t be afraid; you are worth more than many sparrows. In times when we are judging our lives against others, or when we feel that we have disappointed God because we gave in to our human weakness and sinned, let's remember the story of the sparrow. We often complain about sparrows and consider them pests and yet Jesus said, "not one of them falls to the ground outside your Father's care." This says to me that in God's eyes, no one is insignificant! And…"You are worth more than many sparrows!" When God says no one is insignificant…Do you trust that? God has proven many times in word an action that we can trust Him…this makes worrying worthless. Worry wears out our mind and our body. 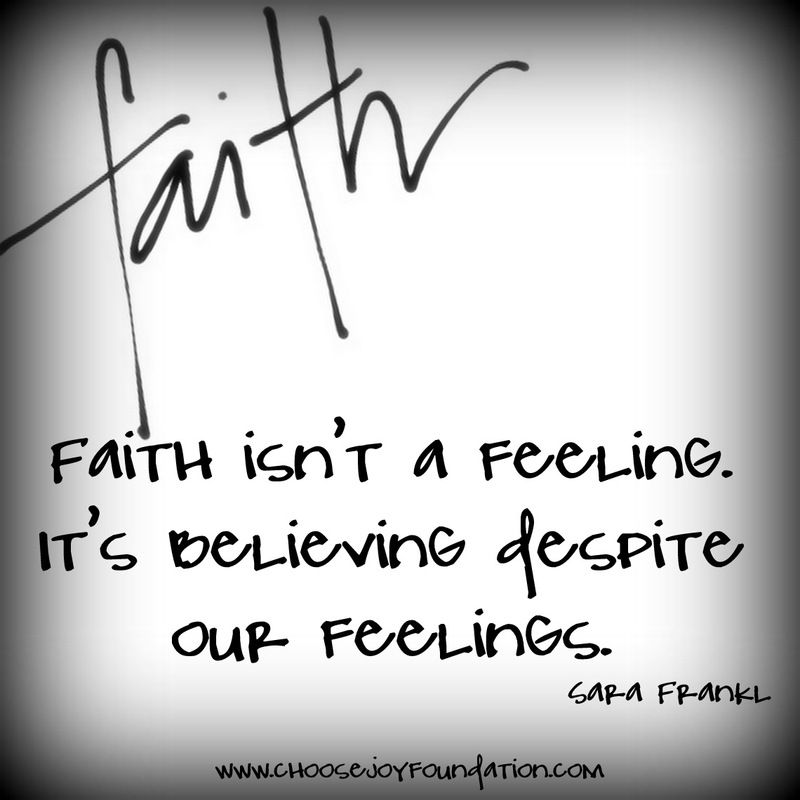 It also impacts our judgement and decision making…ultimately showing God our lack of faith. We can show our Faith by surrendering our worries to Him. We are significant and He loves us…He has told us that over and over. 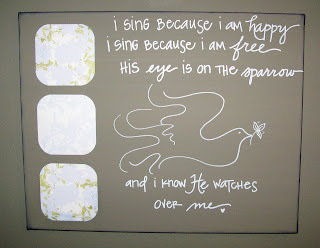 Now He wants us to trust Him and show our love for Him by surrendering our lives and worries to Him…with Joy! Hab. 3:18…"I will rejoice in the Lord, I will be joyful in God my Savior." 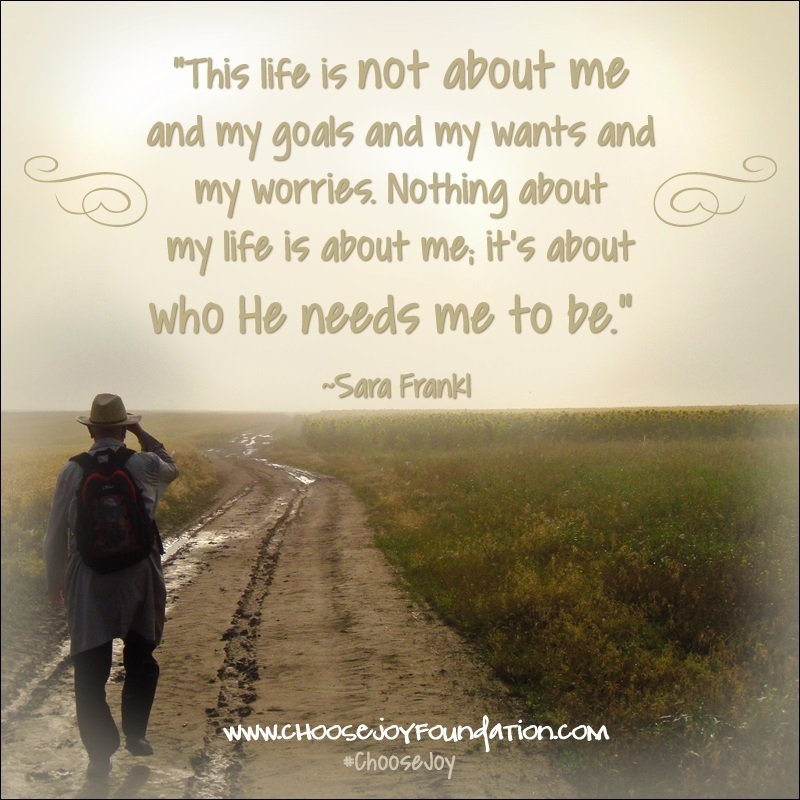 Choose Surrender Day 20: It's not about me. Mark 8:34 says, "If anyone would come after me, let him deny himself and take up his cross and follow me." Deny himself...As human beings we are taught to satisfy our needs. If we want something we should go after it! I think we have to remember there is a difference between selfishness and selflessness. 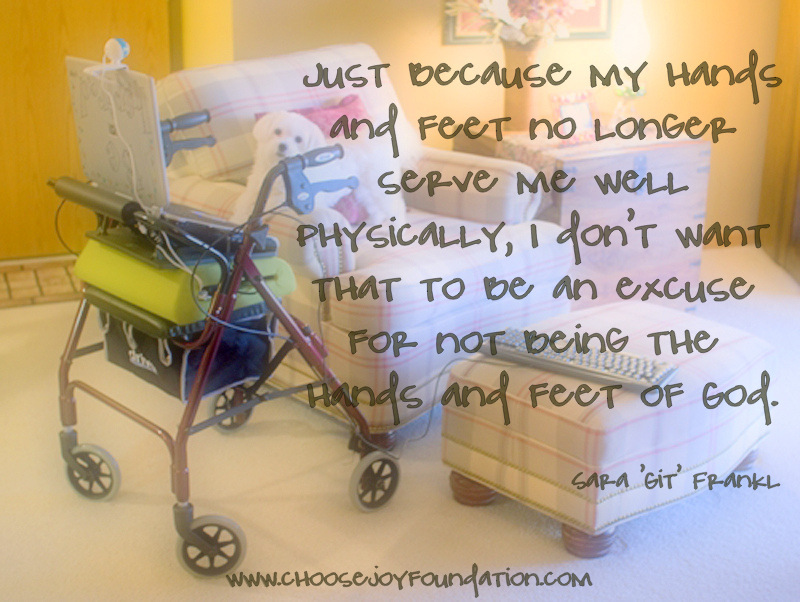 Meeting our personal needs versus meeting the needs of the greater good. 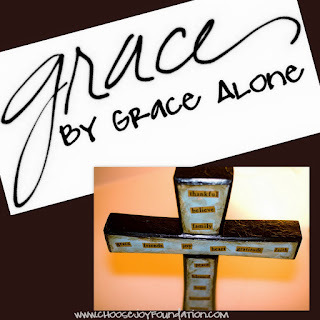 Take up our cross...There are many crosses that we bear in this life and some are more difficult than others. When Jesus calls us to take up our cross, I'm sure He is speaking of our daily struggles, but I think the call is even deeper. For Jesus, the cross lead to His death. We must be willing to take up our struggles and not give up...even to the point and difficulty of death. Follow me...God calls us to follow His call. The path that He planned for us. It is only when we completely surrender an follow Him that we are free and no longer bound by our human desires that keep us from the Him. We must submit all we are to God and His call for us. It is in this surrender that we find who we are called to be. "This life is not about me; it's about who He needs me to be." The bible tells us in Ephesians 2:9 that "salvation is not a reward for the good things we have done, so none of us can boast about it." In other words, good works in and of themselves, will not get us into heaven. But, in Luke 18:27 we learn that "What is impossible with man is possible with God." God will reward us for faithfully working for Him during our life on this earth. They will be heavenly rewards that will last for all eternity. The rewards for those things we try to accomplish on our own during our life on this earth, will not come close to what they would have been if we were operating under God's perfect will for our lives. I choose to surrender to Him. Each day of our life is made up of moments. 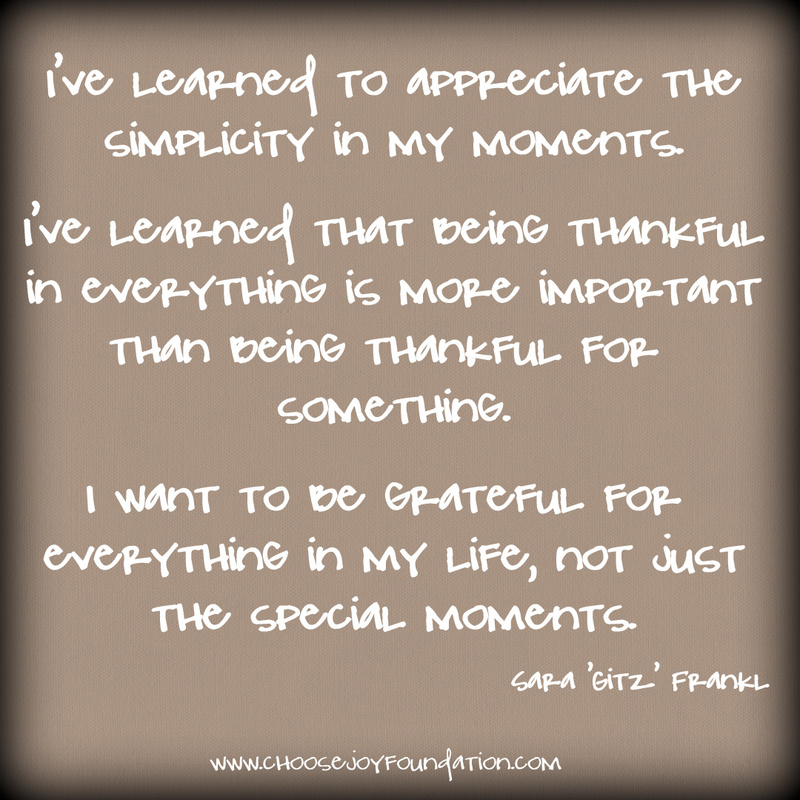 How we choose to look at those moments is a direct reflection of the Joy in our life. We all have moments when life isn't showing up how we would like. Whatever we may be struggling with, how we choose to look at the moments ultimately determines how we live our life. Our life is precious. It is a gift from God. 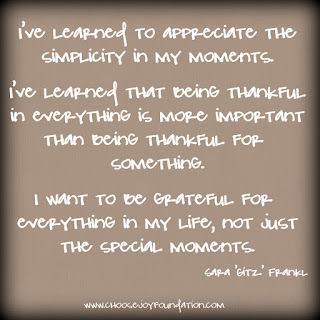 Living in gratitude and ultimately surrendering our struggles to God is the foundation to creating moments of joy. So, instead of focusing on what is going wrong, start focusing on what is going right. I may be struggling with my job, but that job has provided a roof over my head and the ability to provide for my family. I may be struggling with my health, but I am still here on earth and have a purpose to fulfill. I may have lost a family member, but I was blessed to have them in my life for the time I did. I may be frustrated with the line at the grocery store, but I am blessed to have food to put on the table. People will respond to us based on the attitude and perspective we bring to this life. The attitude and perspective that we bring to each new day will create the experience of our moments and ultimately the moments of those we come in contact with. When we surrender our moments to the one who has the ultimate plan for our life, it will be easier to be thankful in everything, not just the special moments. Have you ever been walking a path that you have felt God is leading you on, only to find a number of dead ends? How many of us take those dead ends as a "sign" that God doesn't want us to continue the journey? I have been in those situation several times. What I have learned is that we should "never put a period where God has put a comma. I have learned that those dead ends that we experience in life don't always mean we should end the journey. There may be a detour or a pause in the journey, but not an end...not a period. What I have learned is that I need to regularly gift myself with the time and space needed to pause, rest, reflect, and be present with the Lord without distraction. I need this in order for me to know, understand and follow God's path. It requires regular submission and a humble surrender to God. I have often used the butterfly analogy with my children when they face difficulty. As a parent, when my children struggled and faced times of hitting a dead end, I wanted to fix the situation so they didn't have to hurt and struggle. A butterfly must struggle out of its cocoon in order for it to eventually fly. If we help the butterfly out of its cocoon and don't allow it to struggle, the butterfly will never fly and it will die. Humans are just like a butterfly...if we constantly fix the dead ends people face instead of allowing them to struggle, they will not grow, flourish and eventually soar in life. So when you are feeling a dead end on a journey you believe God is calling you to follow, I encourage you to embrace the struggle. 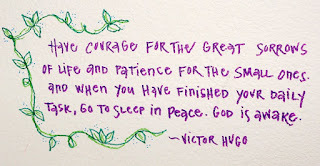 Pause and gift yourself with time to reflect and humbly surrender to God. Pray for the wisdom and patience needed to trust His timing to continue the journey. 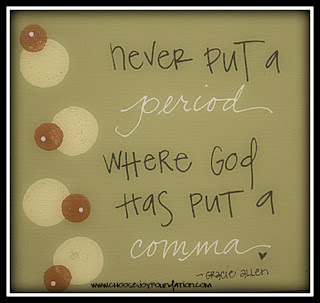 Never put a period where God puts a comma...Never end a journey where God is asking you to pause. "No moment from my God is a rock of burden...it's a rock waiting to be broken apart into stepping stones." This graphic made by Sara says a lot to me about surrendering. I think there is a fear of surrendering because we are afraid that we won't be brave enough to give up what we want and say yes to what God is asking of us. The things we want and desire are things that typically fulfill the needs of our ego. Fulfilling the needs of our ego won't fulfill us deep inside...it won't fulfill the needs of our soul. When we only fulfill our needs...the needs of our ego...our joy and satisfaction will only be temporary and will only last for a moment in time. When we surrender our lives to the wants and desires of God, the joy and satisfaction will last a lifetime. Surrendering is often times what we do as a last resort, a last effort because we are at a loss of what to do next. Surrendering needs to be the first thing we do. We must surrender to God and be willing to accept whatever He desires for us...even if it is not what we desire for ourselves. Surrender and let go of the weight that you are feeling on your shoulders. The weight is no longer yours to bear. Pray that God will change your heart to what He wants...because no moment from our God is a rock of burden...it's a rock waiting to be broken down into stepping stones. Surrendering calls us to be brave, but God will always be walking ahead of us to guide us, beside us to befriend us, behind us to encourage us and over us to protect us. 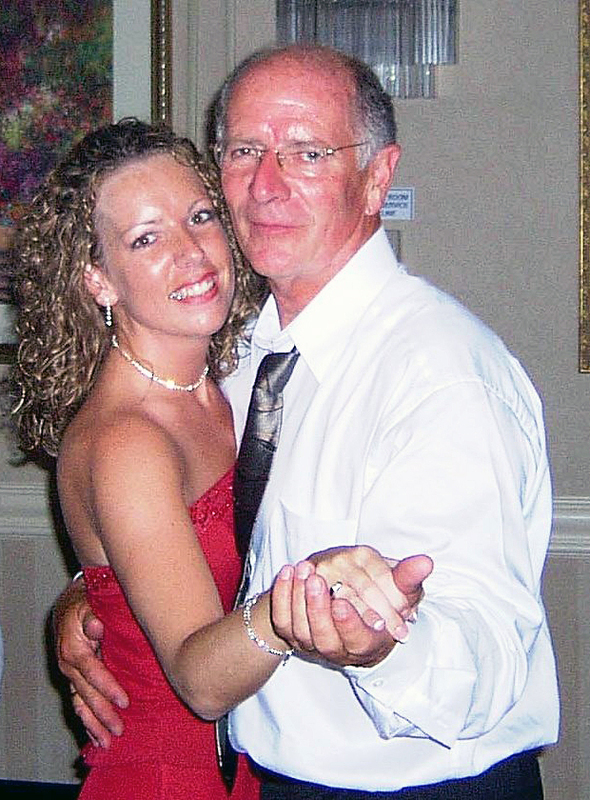 The two songs that spoke to me after dad and Sara passed away were, "Perfect Peace" and "Blessings," written by Laura Story. As I reflect this month on Choose Surrender, these songs came to mind. I think they speak to what it means to surrender to God. Stay close by My side. Keep your eyes on Me. Though this life is hard. 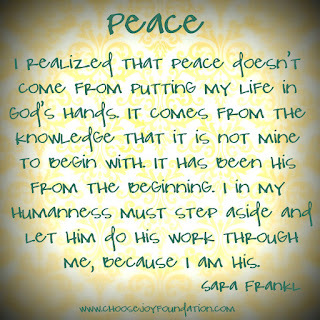 I will give you perfect peace. In this time of trial. Pain that no one sees. Trust me when I say. That I will give you perfect peace. And you'll never walk alone. And you'll never be in need. Though I may not calm the storms around you. You can hide in Me. Burdens that you bear. Offer no relief. Let Me bear your load. 'Cause I will give you perfect peace. We pray for blessings. We pray for peace. Comfort for family, protection while we sleep. We pray for healing, for prosperity. We pray for Your mighty hand to ease our suffering. All the while, You hear each spoken need, yet love is way too much to give us lesser things. 'Cause what if your blessings come through raindrops. What if Your healing comes through tears. What if a thousand sleepless nights are what it takes to know You're near. What if trials of this life are Your mercies in disguise. We pray for wisdom, your voice to hear. We cry in anger when we cannot feel You near. We doubt your goodness, we doubt your love, as if every promise from Your Word is not enough. All the while, You hear each desperate plea, and long that we'd have faith to believe. When friends betray us, when darkness seems to win, we know that pain reminds this heart that this is not our home. I have learned through the trials in my life that God's blessings are sometimes right in the middle of the pain...in the middle of the hard. God calls us to search for Him...trust in Him...love Him...surrender to Him. This search and surrender leads us to perfect peace with Him. This was one of Sara's favorite quotes. It filled her with lessons, comfort, knowledge and peace. She said it helped her know how to surrender her life to God. The quote gave her instructions on how to take action in her life and direction when to let go of the notion that she really had any power at all. What she did have was the courage inside her for when the trials she faced were constantly pounding at her door. It told her she also had the patience she needed at her disposal for those moments in life that were just that - moments - unless we choose to give those moments the power with our own anger or pride or justifications. Sara said that the quote told her that she would face difficulties daily, that she couldn't run from them or hide inside herself until someone else braved them for her. They were battles for her to fight, her joys to relish, her burdens to face with grace and patience. They were her daily tasks that she had to face and complete. But at the end of the day, because she faced her life for what it was...with courage and patience and reverence for the gift God provided...she was able to go to sleep in peace. When we surrender our lives to God and finish what He asks of us for the day, we are able to rest without fear and worry. And He never sleeps. He is awake...walking the path we will take tomorrow. 2 Corinthians 5:7 "We walk by faith, not by sight." Are you willing to follow God wherever He leads you? Is it enough that even if you don't know what lies ahead, He knows? When I look at my life today, some of my richest blessings came from walking His path even when it wasn't the path I desired...the path I had in mind. I wouldn't have those blessings today if I didn't surrender my heart to Him and walk through the difficulties and pain to get to Him. 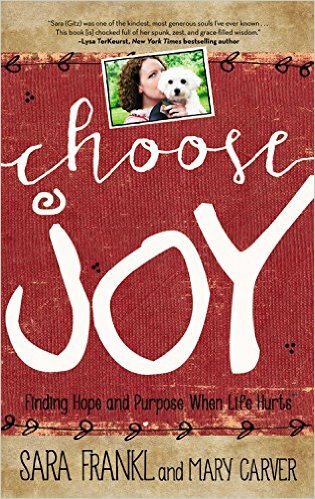 Sara tells us in her book, Choose Joy: Finding Hope and Purpose When Life Hurts, that she saw her life as a blessing. If the life she lived and surrendered to God even made a difference in one persons life, she wouldn't want anything else! Walking by faith requires that we listen and obey the voice of the Holy Spirit and follow the truth of God's word. We choose to live according to what God reveals to us, rather than trusting our own understanding of what the world tells us. 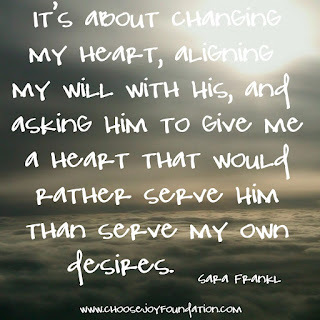 Sara's prayer was that God would change her heart and align it with His. She wanted a heart that would rather serve Him than her own desires. Along the journey are difficulties, but there are also the richest blessings and a heart of joy that makes the experience worth every step. In the above video, Alece, Jessica and Matthew provide a beautiful testimony on how Sara served others. Sara was a true example of someone who surrendered their life to God, and I think that is shown in how she loved and served others. Sara surrendered her life to God and because of that, she was able to serve us with her whole mind, heart and soul. As I reflect on Mark 12:30-31, I think of Jesus, the greatest servant of us all. He surrendered His life to God in order to fulfill God's perfect will. Surrendering His life through self-sacrifice...death on the cross. This kind of surrender can only be accomplished because of the depth of love in our heart. Greg Simas says, "the devotion of our hearts is determined by wherever we find value as our greatest treasure." Matthew 6:21 tells us for where your treasure is, there your heart will be also. Jesus just gave us the answer on how to love God with all our hearts. The heart loves what it treasures! The treasure in Sara's heart was God and others. How do we surrender to God? We want and desire to surrender to Him, but in our humanness and sinfulness we are controlled by doubt and impulses of worry and fear. 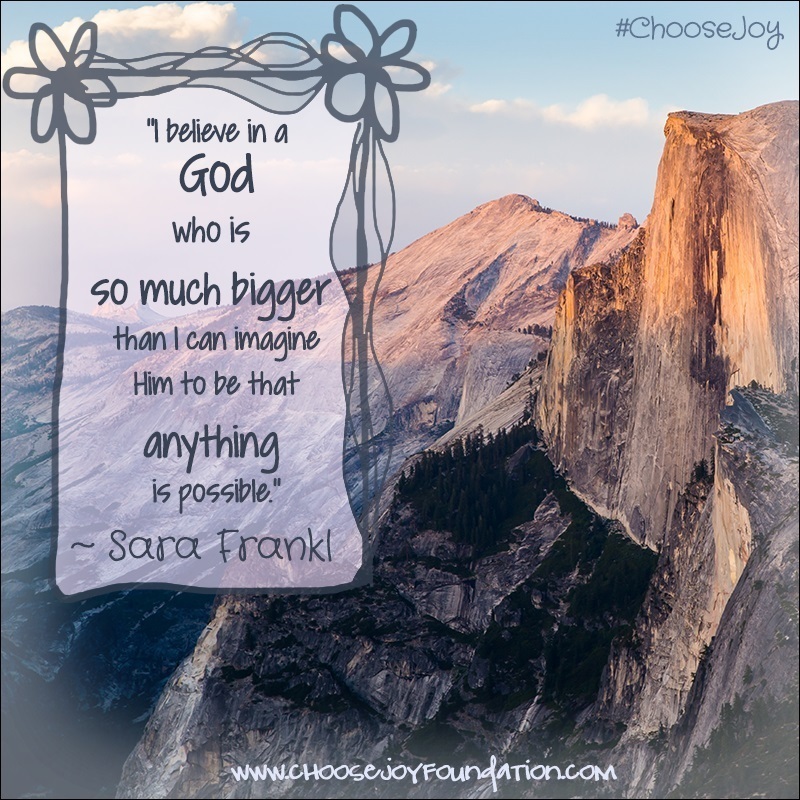 In Sara’s book, Choose Joy: Finding Hope and Purpose WhenLife Hurts, she talks about God’s gift of free will and our ability to choose. I think that God looks at our “will”… our want…our desire…to do what honors Him and then He works in us to do what is pleasing to Him, according to His purpose. 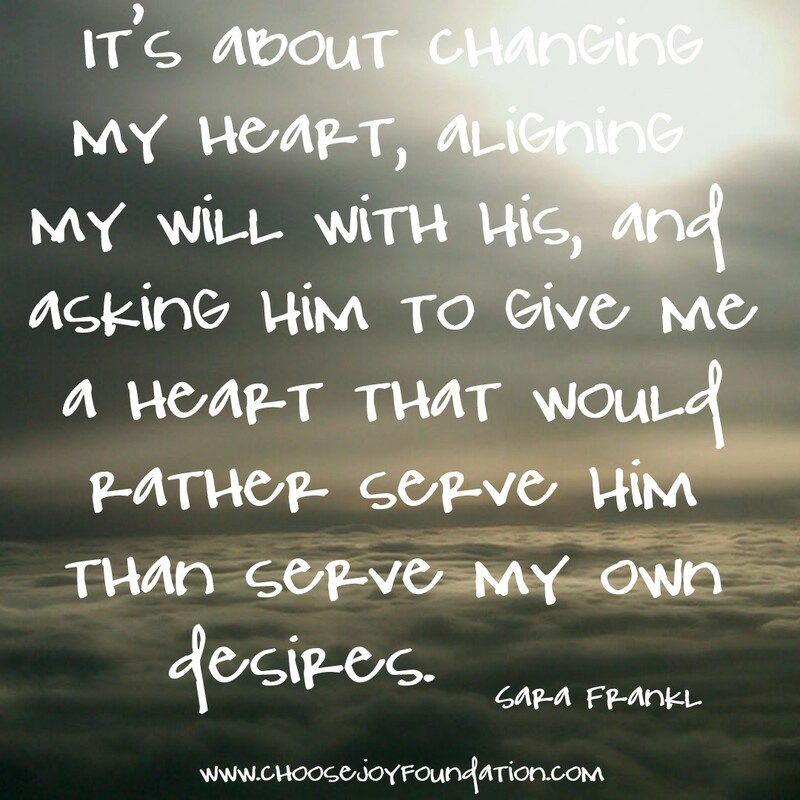 When I think about my will or desires, they come from my heart. They come from the love I have for God. Therefore, our job is to surrender our “will,” our heart, to Him. God invites us to experience joy and blessing in life through Him. It is through grace alone we are forgiven of the sinfulness of doubt, worry and fear that keep us from fully surrendering to Him. 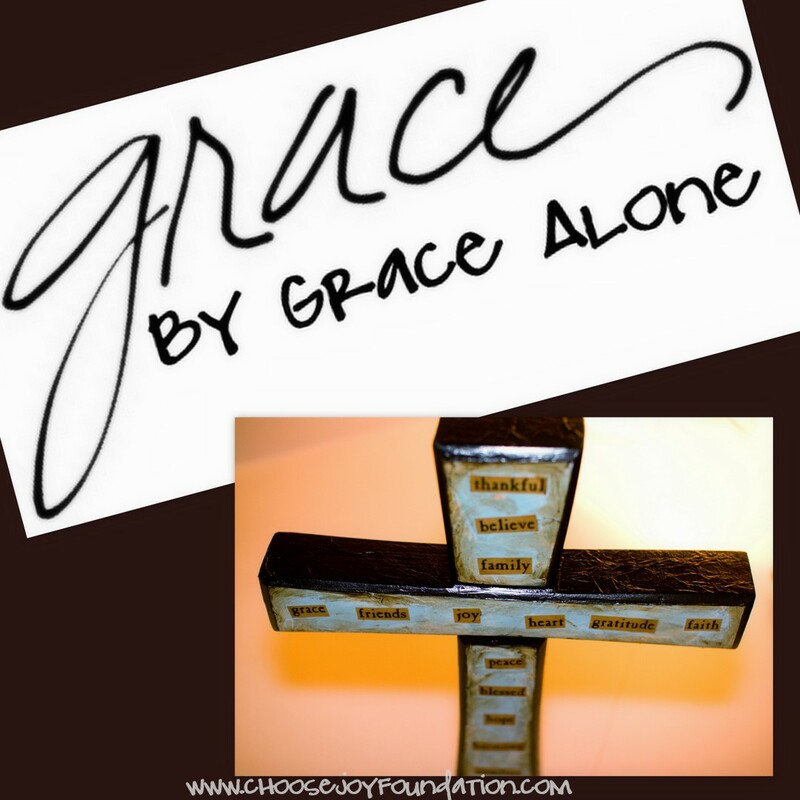 It is through grace alone that we are able to take up our cross and follow Him…to be His disciples. Graced by God's presence we learn that while we are less than perfect, who we are by God's grace, can be enough. By God's grace, each day can be lived with hope and purpose...and with His grace, we can choose joy.